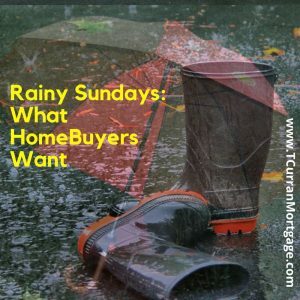 I once worked two real estate open houses on a gloomy, rainy, Sunday. To call the day “gloomy” is probably too kind a description considering how many rainy, gray, miserable (and yes, SNOWY!) Sundays I work with First Time HomeBuyers or Open Houses. HomeBuyers are coming out looking at homes. There is a pent up demand for homes. You can see the proof not only in the surprising turnout for open houses in bad weather (I once did an open house on the Sunday after a 14″ snowfall and with temperatures in the teens with our best turnout of four open houses), but also in the preparedness on the part of the Buyers: many Buyers have taken the important first step in buying a home and have been Prequalified for mortgage financing. Both these factors clearly demonstrate that there are many serious HomeBuyers, and a substantive demand for homes. what I think HomeBuyers really want. They want a home they feel they can afford. It’s not enough they are qualified for a mortgage loan for X amount of dollars: they want to pay a monthly mortgage payment they are comfortable making, and that might be for a lot less than the bank says they are qualified for. Don’t spend more than you can afford, and don’t overextend yourself. And take very good care that you don’t over pay for a house. They want lower prices for homes. Sellers aren’t willing to give it to them. Realtors aren’t willing to undertake the hard work of making this market work the way it’s supposed to. The reality of this marketplace is that too many home Sellers haven’t “hit the wall” yet. They are not willing to lower their prices to a level where it meets the demand of “What Buyers Want.” But that’s not happening in our housing market; prices remain beyond the “comfort zone” of most Buyers. Sellers just won’t tip themselves over the edge and bring their prices down to where they can find supply/demand equilibrium with the pent up demand from Buyers. Forget all those factors because they are not important to you if you are a Buyer trying to make it happen NOW. If you are one of those “pent up demand” Buyers ready to pounce on the right house at the right price, what do you care about the reasons why Sellers haven’t lowered their prices? You need to find the right home at the right price. I propose this to Buyers: the right house at the right price DOES indeed exist today. You can find it out there in the marketplace by undertaking two simple yet effective home-shopping techniques. I have personally used these techniques to buy my first home and I have witnessed these techniques work for my clients (even in the BOOM market!). Shop A LOT. Going out for two hours on a Sunday visiting three open houses or going out once every three weeks with your Realtor does not constitute shopping a lot. When I shopped for my first home over 23 years ago, I looked at homes constantly. Thursday evenings, Saturday and Sunday afternoons, Wednesday afternoons and evenings. In the end I got exactly what I wanted, a great house at a great price. Make offers, lots of offers. Shopping frequently isn’t enough; you have to make offers. If a Seller accepts your offer you are NOT locked in to the deal. That doesn’t happen until after your home inspection and after you sign the contract of sale with your attorney. No, making offers helps you find that right house at the right price. If the house “list” price is considerably higher than what you are willing to pay, what do you have to lose by making an offer based on your comfort level? The worst that can happen is the Seller says, “No.” Focus on what you, the Buyer, wants, not on what the Seller wants. You may find the ONE Seller who says, “Yes.” Next thing you know, you’re buying a home at a price you feel comfortable with. That first house of mine is a prime example of the effectiveness of this method. I had shopped aggressively in one town on Long Island; that’s where I wanted to live. I found a “FSBO” or For Sale By Owner home one Sunday afternoon. I offered $190,000 within minutes of looking at the house. The asking price was $268,000. I was NOT making a “lowball” offer. I was serious, I wasn’t fooling around and just tossing my fishing line in the water without any bait. I had already negotiated on the house right next door a few weeks before and I knew what the final price on that house was. That house was a far better house. For “bait” I made my offer with the assurance I was preapproved for the mortgage (I worked for the bank). Sound familiar? The Seller laughed and politely declined my offer. I shook his hand and left the house. Six weeks later I raised my offer to $210,000 and he dropped his price to meet my offer. In the intervening weeks I had constantly called and worked my negotiations with the Seller. That’s how a Buyer gets what a Buyer wants. Shop a lot and make a lot of offers. Shopping frequently gets you out in front of more Sellers. Seeing lots of houses lets you make lots of offers. Making lots of offers leads you to a Seller willing to meet your offer. 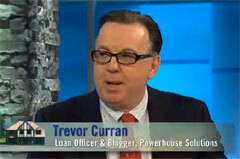 Realtors and Sellers need to take heed.